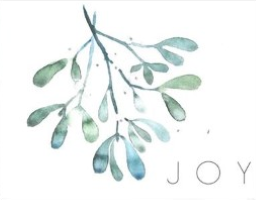 Holiday Cards - Order Now! A gift in honor of your clients, colleagues, friends, or family is the best gift of the season. 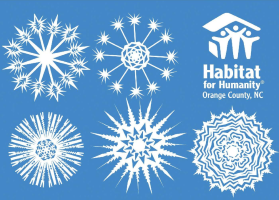 Donate to Habitat in their honor and they will receive a beautiful holiday card. A minimum contribution of $10 per card is appreciated. 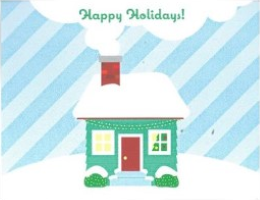 Habitat can personalize and send cards to your recipients on your behalf. Or, Habitat can mail cards directly to you. Choose from traditional folded cards or flat card inserts. 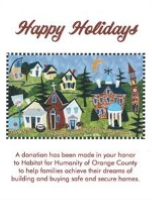 Order your cards and send the names and addresses of your card recipients to Grace at gjohnston@orangehabitat.org. Be sure to specify which card design you would like!